Salesforce.com login with API access privileges. Your Salesforce.com Organization ID. To get the ID, login to your Salesforce.com account, go to Setup > Company Profile > Company Information and look for Salesforce.com Organization ID. 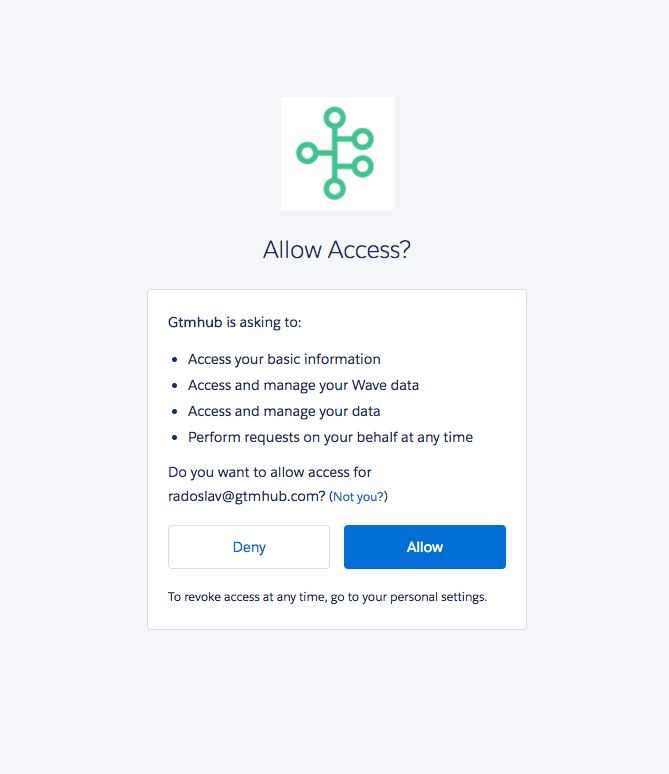 Gtmhub connects to Salesforce.com using OAuth 2.0 authentication and authorization protocol. 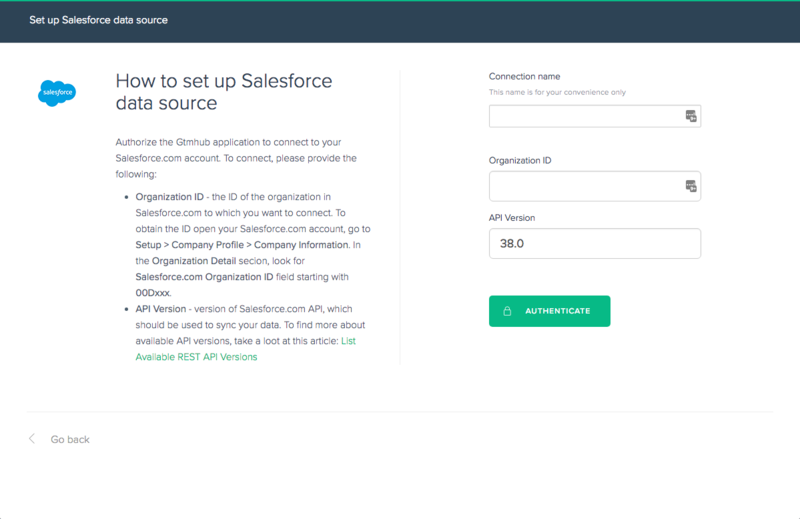 By creating a connection you will grant Gtmhub offline access to your Salesforce.com data. To create a connection click on the Insights drop down menu > Insights > Install from gallery button > choose Salesforce. Then fill in your Organization ID and click Authenticate. You can authorise Gtmhub to access to your Salesforce.com data. Once you complete this step you will be able to either select the entities you want to sync or install the Gtmhub insight presets for Salesforce.com. For more information on the insight presets read: Salesforce.com insights.